An illustration of the roundness factor. 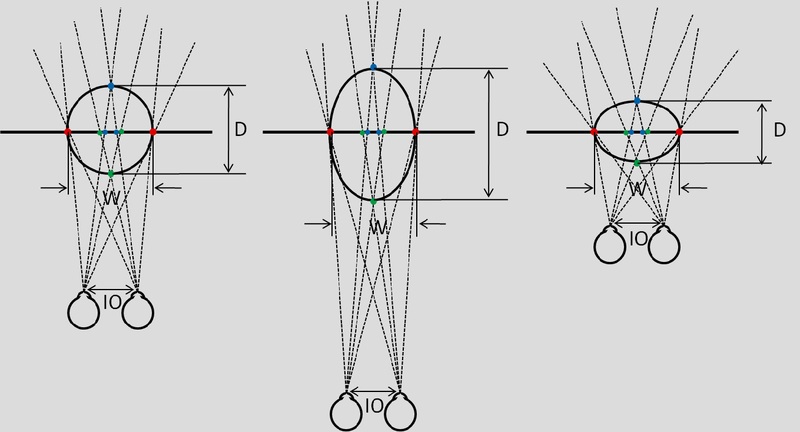 The perceived shape of a sphere is extended or compressed depending on the spectator’ viewing distance relative to the screen [Karim Benzeroual, et al: Distortions of Space in Stereoscopic 3D Content]. Brenda Laurel: What is Virtual Reality? Jacki Morie: Don’t let VR go wrong again!